1. Understand campsite policies for proper waste disposal. Most campgrounds have at least a few containers and bins for waste disposal — but, depending on the size of the park and its individual policies, you may not have such a place close to where you pitch your tent. Bathrooms are another important point to consider. 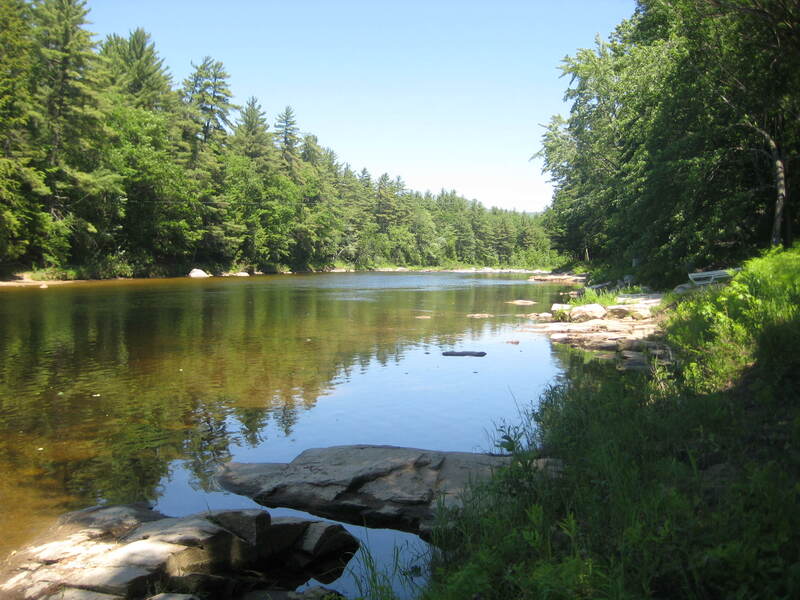 Small, family campgrounds such as Saco River Camping Area will have facilities, whereas larger state and national parks may require you to take more rustic measures. 2. Pitch your tent on a durable surface. You don’t want to smash plants — or, worse, disturb a bug colony that will end up exacting revenge on you by biting you or stealing your food! Pay close attention to where you pitch your tent. 3. Practice basic campfire safety. Leaving trash, smashing plants, and other small infractions mentioned above are not ideal — but by far the most dangerous and far reaching mistake that campers can make is failing to practice campfire safety. Pay close attention to your fire, build it in a responsible location, and be absolutely certain that you have put the fire out completely before leaving it alone. 4. Respect the flora and fauna. Pulling flowers for your significant other might seem like a cute gesture — but it prevents flowers from growing in the future. Feeding animals is another seemingly harmless activity that many campers want to try — but this can disrupt the food chain and cause animal dependence on human assistance. Learn more about fun and safety on the campground at SacoRiverCampingArea.com!